“I am Bristol’s Fun Palaces Ambassador, Ellie Shipman, hosted by The University of Bristol’s Elizabeth Blackwell Institute for Health Research and working in collaboration with Bristol Green Capital Partnership on Healthy City Week 2017. Fun Palaces are free arts and science activities led by and for local people as part of a global campaign to put culture at the heart of every community, celebrated through an annual weekend of action. This year, the Fun Palaces weekend falls on the 7th and 8th October, perfectly timed to coincide with the opening weekend of Healthy City Week – Bristol Green Capital Partnership’s annual celebration of wellbeing that doesn’t cost the earth! We were excited to partner with BGCP to bring more local perspectives, skills, passions and interests into tackling, exploring and reflecting on the health of our city. 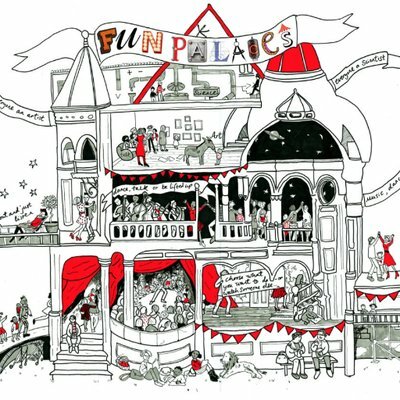 Fun Palaces is all about locally-led collaboration and co-creation where ‘everyone is an artist, everyone a scientist’. Through encouraging and supporting the creation of Fun Palaces between local people and community partners, health researchers from the university and sustainability organisations, we are looking forward to new connections being made beyond the same circles we all often find ourselves in. This year’s focus areas are Avonmouth and Lawrence Hill: two diverse areas of Bristol too often left off the map of cultural events in the city – one an industrial port village and the other an inner city area. Following a series of creative, participatory, public workshops in the Fun Palace hubs of Avonmouth Community Centre and Wellspring Healthy Living Centre key health themes were identified: air pollution; food and healthy eating; mental health and wellbeing; smoking; and active travel. This process distilled the collaborative momentum from Bristol’s communities, local partners and researchers to come together to tackle the health of our city head on. 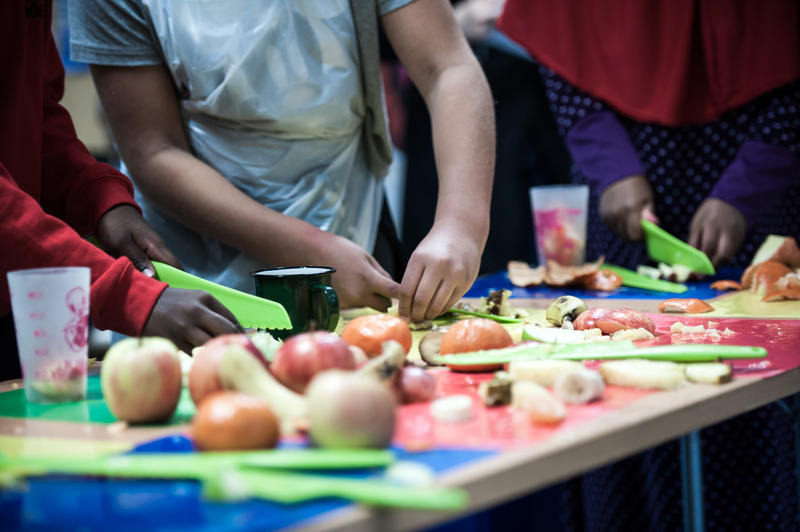 These five themes will inform the Fun Palaces weekend, and many will be further explored throughout the range of talks and activities in the Healthy City Week programme. Fun Palaces are now in the pipeline to takeover a carriage on the Severnside railway line as a roving exhibition on mental health; a public graffiti workshop to customise YoBikes with health-inspired designs; a home-grown food and recipe swap around healthy eating; urban walks and dances to explore our city; creative craft activities to nurture our wellbeing and so much more! There are opportunities for your organisation or group to contribute to these events by getting involved with the maker teams, providing resources, materials, or venues for events to take place in other communities. You can find out more and join a workshop for Bristol Green Capital Partnership members and interested groups or individuals on 23 Aug, 10.30 – 12pm, University of Bristol: book your place here. This year’s programme will provide a range of opportunities to share learnings and explore the intersections between the health and sustainability communities in addressing environmental challenges. Find out more on our Healthy City Week page.